The massive cave is a “scientific treasure,” Mexican archaeologist Guillermo de Anda told a news conference. He said it could help scientists better understand the origins, lives and beliefs of the residents of Chichen Itza, a stunning city of stone in the Yucatan peninsula that was founded sometime around 750 AD. The cave was found about two kilometres (1.2 miles) from the Temple of Kukulcan, the giant stepped pyramid that dominates the center of Chichen Itza. It sits about 24 meters (80 feet) underground, and contains multiple chambers connected by narrow passages — often so narrow that researchers had to crawl or drag themselves through them, De Anda said. 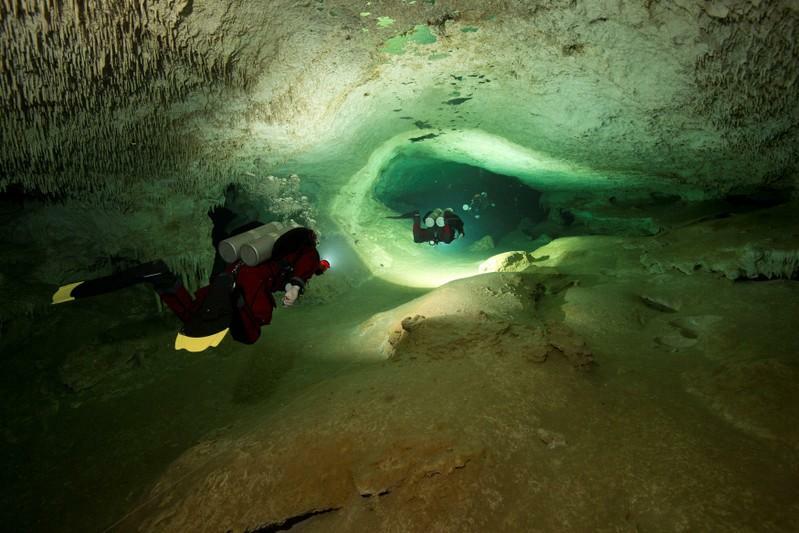 His team has explored about 460 meters of the cave so far, and does not know how far it stretches, he added. The relics found include seven incense burners shaped like the Mayan rain god Chaac, which researchers believe were offerings meant to bring rain. De Anda said locals had actually discovered the cave more than 50 years ago. However, the archaeologist sent to explore the site at the time by the National Institute of Anthropology and History decided for unknown reasons to seal the entrance with stones, and filed only a brief report. De Anda had seen the report, but did not give it much thought until he happened upon the entrance to the cave in 2018 while exploring another site nearby. “What we found there was incredible, and completely untouched,” says De Anda. His team believes the largest incense burners date from around 700 to 1000 AD. The indigenous Mayas who inhabit the area today warned his team that a venomous coral snake guarded the site. Researchers did in fact find just such a specimen, which blocked their access to the cave for four days, De Anda said. At locals’ behest, they performed a six-hour purification ritual before entering the cave. De Anda’s team plans to continue exploring the cave. Rather than remove the artifacts they find, they will study them on site, he said. The post Hundreds of artefacts discovered in Mexican cave appeared first on SABC News – Breaking news, special reports, world, business, sport coverage of all South African current events. Africa's news leader..